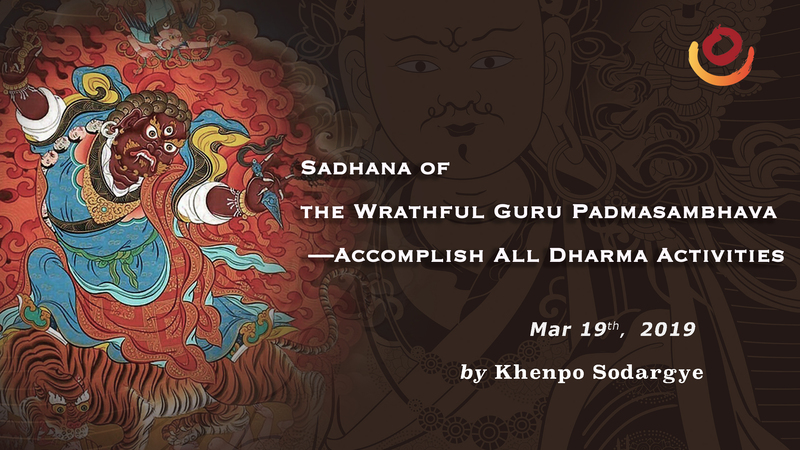 At 7:30 PM (Beijing Standard Time), Wednesday, March 20, Khenpo Sodargye Rinpoche will continue to explain the Sadhana of the Wrathful Guru Padmasambhava—Accomplish All Dharma Activities, a terma revealed by His Holiness Jigme Phuntsok Rinpoche at Paro Taktsang, Bhutan, in 1990. Only those who have Refuge Vows or are ready to take Refuge Vows, and have confidence in Vajrayana and the Dharma teacher are welcome to attend this teaching. One thing you need to consider is by receiving this teaching, it means you will follow the Vajrayana path.